Home » Politics » If CID warned of a threat to Gandhi's life, why didn't govt protect him? 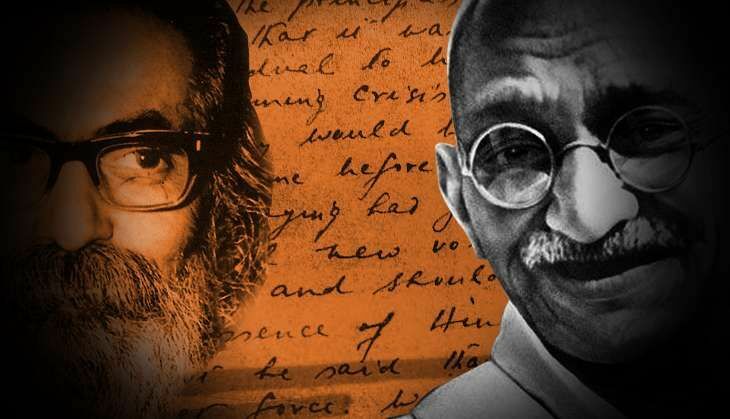 If CID warned of a threat to Gandhi's life, why didn't govt protect him? The ghost of Gandhi's assassination has been imposed on the RSS. A few people are bringing up these documents now. Were these document never in the knowledge of the government? Were these documents not examined by any of the commissions investigating the assassination? This case is already in the court and things will become clear there...doodh ka doodh aur paani ka paani ho jayega. Why are some intellectuals and media persons desperate to shield Rahul Gandhi? Regarding the documents published by Catch, the first thing is that they say nothing. It is a report which is interpreting the documents. The document is also saying that this is not our tradition. Also,it has nothing to do directly with Gandhi. The statement being referred to, generally said that we will fight tooth and nail against those who oppose the national interest. When the court is hearing this issue, why do Ramachandra Guha and Catch have to jump into it? Why are some intellectuals and media persons desperate to shield Rahul Gandhi? Why do they forget that Hindu Mahasabha was an independent group? Why do they forget that a man called Godse, call the Shakha names, and left RSS in 1936 saying that nothing can be achieved through this march past? Despite all this, RSS is blamed. There are other documents which suggest that Gandhi's assassination could have been avoided. Why doesn't anyone talk about them? If all these documents and inputs were there, what was then Congress government doing? Who was the direct beneficiary of Gandhi's assassination? No one is asking this question. RSS lost the most and yet it is put in the dock. These are the questions which the media should ask. In fact these documents raise more questions that if these inputs were there and already 3 to 4 attempts were made on Gandhi, why the didn't the government try to protect him? Any culprit would have taken precautionary action after such an act. Now, look at what Golwalkar did. He was in a meeting in Chennai when he got this news. He immediately dissolved the meeting and directed all the Shakhas to be dissolved. He didn't know what the government is going to do. He then immediately sent a condolence message to Gandhi's family and next day he wrote two letters, one to the prime minister and other one to the home ministry, asking them to take strong action. The RSS had ideological differences with Hindu Mahasabha. VD Savarkar was never directly with the RSS and Savarkarites never followed the RSS line. It is a good thing that these kind of documents are coming out. These documents have raised questions about the intentions of the then government. The timing of their surfacing now, raises doubts over the intentions of those who are doing this. As told to Panini Anand. The writer is Editor of Organiser.